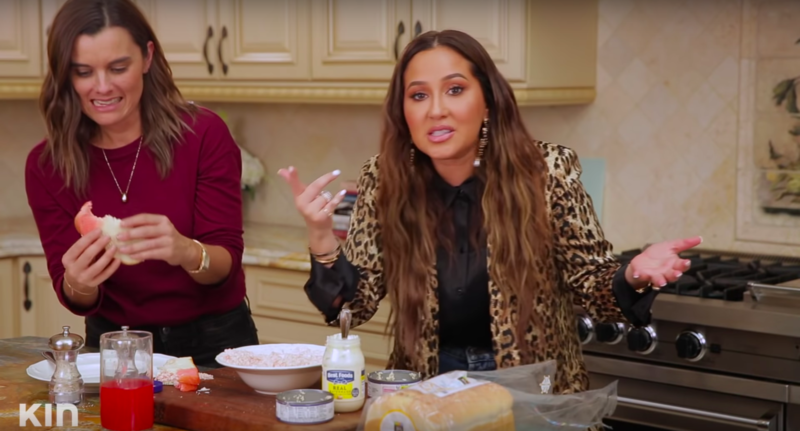 Last week, Adrienne shared her ~secret recipe~ for tuna salad in a YouTube video about weird food combos, and y’all…I am having a DIFFICULT TIME processing it. 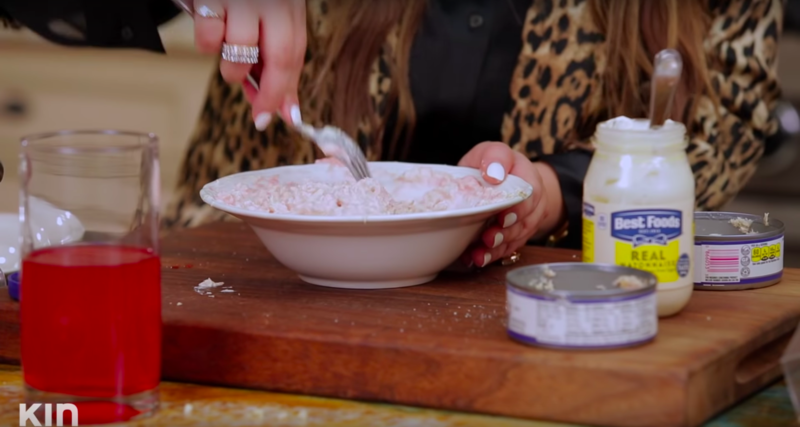 Her recipe starts out pretty normal: tuna, mayo, salt, pepper. 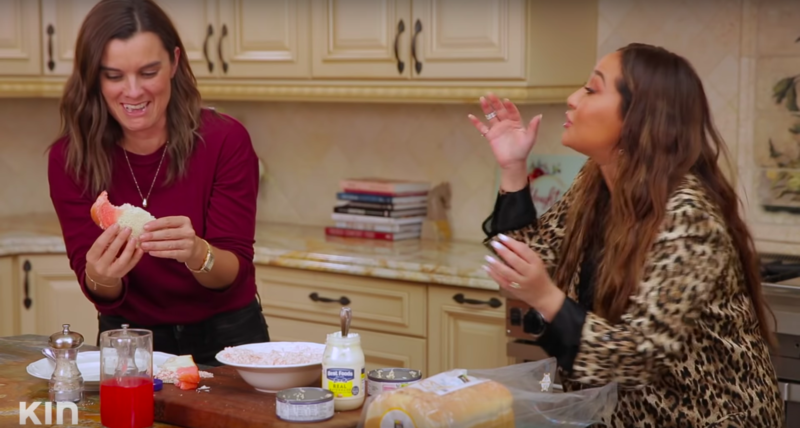 All standard ingredients for a tuna salad! 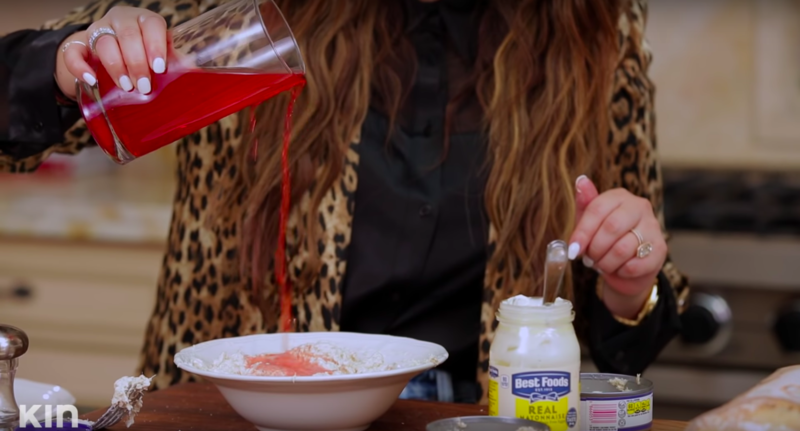 But then she adds her secret ingredient: fruit punch. Like, a LOT of fruit punch. 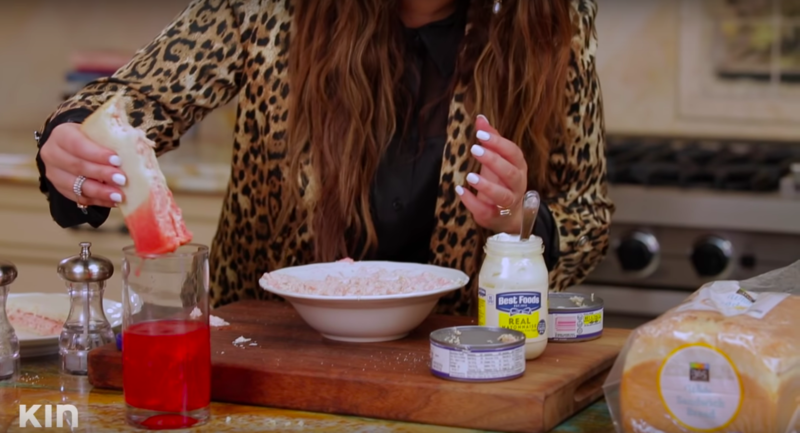 And then she stirs it into the fish and mayonnaise to create what can only be described as a thick, pink, tangy tuna soup. 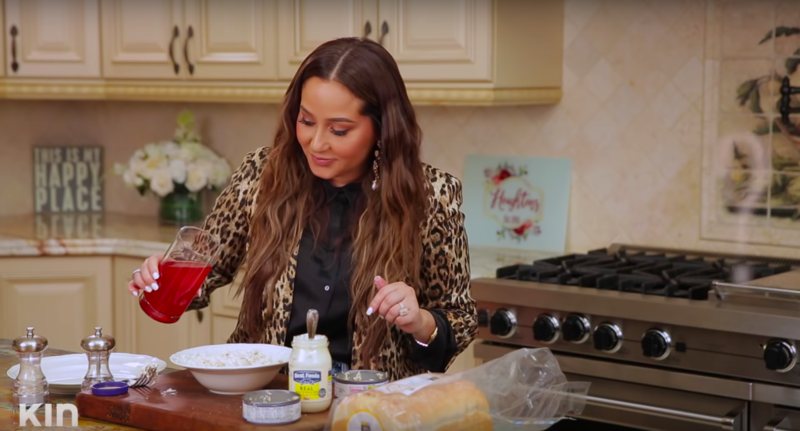 Adrienne then takes the tuna sandwich and DIPS IT IN THE FRUIT PUNCH WHILE SHE EATS IT. 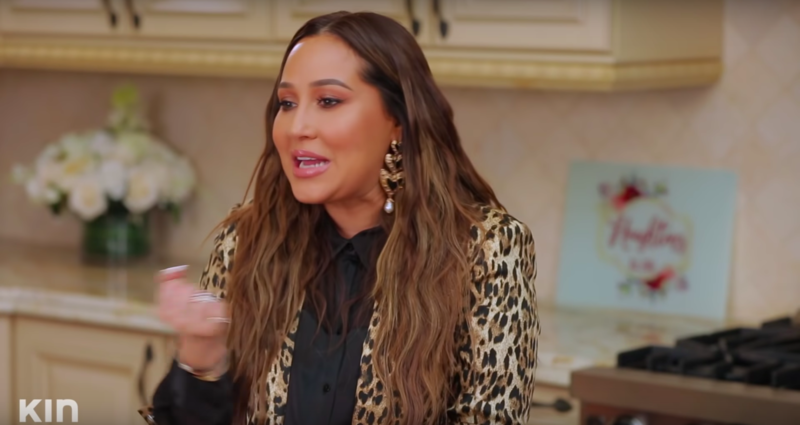 Adrienne even asks her producer to come on camera and try it. 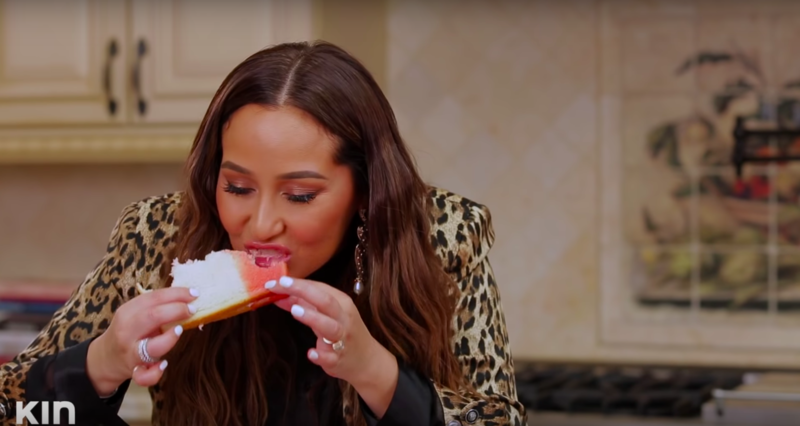 To Adrienne’s credit, the producer says it’s “actually really good,” and even takes another bite. But on Twitter, the reactions are slightly less enthusiastic. It’s safe to say that nobody was prepared for this. Some people would like the video erased from their brains entirely. It’s just a lot to process! Hey, people like what they like! But if you’ll excuse me, I think I need to go log off for a while. Goodbye!